Will Jaya analyzes customers’ applications such as: search engines, databases, finance, education, healthcare, research and development, and graphic design in order to select the most suitable hardware platform for the underlying application. Experienced rack integration engineering teams review customers’ rack integration requirements along with server, switch and PDU configurations to optimize rack dimensions, cabling arrangements, and PDU selections to meet the customers’ specifications for onsite deployment. Engaging Will Jaya early can help the customer select an optimal solution to best fit their needs. Based on the calculated power budget, customers may choose the appropriate PDU from a list; or Will Jaya’s experienced personnel can recommend suitable PDUs able to supply sufficient power. Together with the chosen PDU, servers and networking devices, a Bill of Materials is created and entered into Will Jaya’s BOM system for cost analysis and price quotation. BOMs created in Will Jaya’s logistics systems can provide price lists for program control to meet customer’s schedule and minimize operation cost. Will Jaya’s ECO system ensures the highest levels of quality. The completed Bill of Materials for a Will Jaya end-to-end solution will include the items and quantities based on design, and will provide an easy-to-understand price quotation. Depending on the requirements, Supermicro’s production department will assemble servers/nodes according to the server BOM and production SOPs. Networking devices will be integrated and third party devices will be procured in tandem with the assembly process. Will Jaya will ensure that each server node meets strict tests and is configured to meet the customer’s requirements. Node information will be well documented with correct labels. Node assembly will be completed by production personnel with all custom parts installed. Rack integration engineers and production engineers work closely with experienced operators to integrate rack systems following the agreed-to SOPs. Based on the engineering layout diagram, required servers/nodes will be pulled to Supermicro’s assembly area. Our experienced assembly technicians will stack these parts inside the appropriate rack cabinets according to the SOP. The services team will securely mount servers, switches, power distribution units, and accessories to the racks, with labeling to customers’ specifications or in accordance to industry best practices. Systems interconnections and additional testing will help to guarantee the best possible customer experience. After the server systems are stacked inside their respective racks, technicians will wire the data and power cords according to the engineering layout diagrams and wiring-maps. Each cable will also be labeled clearly with a unique identifier. Error checking will be run and, depending upon the Application Analysis, the types / quantities / lengths of the cables will be adjusted to the requirements of the application and design. With professional labeling, provided either by the customer or by Will Jaya, rack servicing will be made easier for the customer’s engineers. Third party equipment will be procured, stacked inside the Will Jaya rack cabinets, or drop shipped according to the engineering layout diagram and the customer’s preference. Will Jaya equipment is designed to work with industry standard hardware and the services team has the experience to work with other brands of IT hardware and integrate it into an end-to-end solution. After a solution is completed, each node’s BIOS settings will be professionally updated, adjusted and tested. Nodes will also be consistent to each other according to the RFQ and to the customer’s preference. Will Jaya updates the firmware with our professional tools so that it is internally consistent. 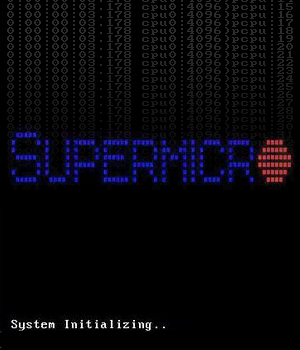 This greatly reduces human error and optimizes the reliability of running customized applications on Supermicro’s hardware platforms. Will Jaya utilizes IPMI utilities, SuperDoctor and other professional tools to remotely configure and manage IPMI setting. The advantages are the ability to remotely manage server deployment, eliminate any impact on applications and to provide easy integration with existing infrastructure. Operating Systems and customer images can be pre-installed and configured into each node with Will Jaya’s professional tools. Multi-vendor equipment involved with the integration process will be tested for compatibility with their related server/nodes, networking devices and other components. This further reduces system and human error and ensures the quality of Will Jaya’s complete solution hardware platform. After the above procedures have been completed, a full rack burn-in test will be performed for a standard 8 hours or a testing length preferred by the customer and validated according to Will Jaya’s professional quality assurance procedures. This guarantees the reliability of the solution during extended periods in an optimized running environment. Will Jaya’s professional rack power measurement box will be employed to perform a full rack power measurement evaluation. This will further reduce any unexpected errors such as power surges and ensure reliability and optimal stability of the Supermicro end-to-end solution. After all the above tests have been performed, a performance benchmark report will be generated and evaluated. Through this step Supermicro can provide solution integration with a consistently high level of quality through an end-to-end validation test, extended burn-in, and test record.